I’m Natalie Fisher – Speaker and Coach to new graduates. I specialize in helping new graduates who have worked hard in the classroom and done everything right but are still not getting job offers, to reach their full potential and get into higher level roles a lot faster. Do you have experience with ______? Tell me about a time when…. Give me an example of a time…. Some of these will come at you in different variations, so you will still be able to prepare for them, even if they ask you these same questions in a different way. For example, if they ask you: “Why do you want to work here?” You can apply the same answer as you would for “What do you know about us?” Because you are only going to convey positive things about the company and that works as an answer in both cases. ➢ Tell me about yourself. Don’t answer like everyone else. Most people answer with their work history or a very boring synopsis of their life. You want to tell them something unique about you that will give them something to remember about you. That’s a great example that would fit well with a role that is going to be dealing with clients like an account manager, for example. ➢ What do you know about us? I have an example post that is called “How to research a company before a job interview.” And that post will give you an example of how to answer this question, as well as where to find all the information, so check out that post – I will link it up below. ➢Do you have experience in XYZ? Often times, new grads don’t have experience so they can get really stumped on this question. The key to this one is to first NOT try to fake anything or say that you do or have experience. If you’ve got absolutely no experience, you want to directly go into selling them on you and your ability to learn with a story about how you’ve learned something in the past where you didn’t know it to begin with (which is something we have all done before) . ➢ Tell me about a time when…. ➢ Give me an example of a time…. These questions are the ones that you can expect in some form or another, and the key to these is to really master your interview storytelling so that you can connect and relate with the interviewer in a way that other candidates don’t know how. Now these are my favorite types of questions, and I’ve coached hundreds of students on how to answer them and come up with an abundance of examples. While I would love to go through them all in this post, it would end up being a book! So I’ve got a free downloadable guide for you to really master these which you can get when you click the link below the post. 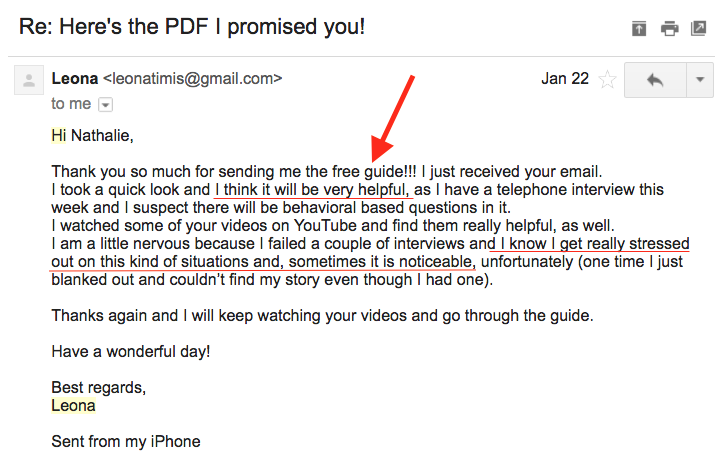 ➢ A big mistake that I see interviewees make is that they aren’t clear on what they want. Even if you don’t know for sure what you want yet, or if you do want to work for that particular company, you want to make them feel special, like you have searched them out and you specifically want to work for them. This makes a world of difference, and when you mention specifics about why, and why you love the company, their mission, and what they do, that really sticks with them. ➢ Don’t go overboard with this, but definitely name a couple of very unique specific things about the company that you like, and that drew you to them. This will really help set you apart. Make sure that you’re being genuine and you really mean what you’re saying. Other than that, I think you’re set! So if you want to learn more, there are specific tactics that you can use to develop your confidence and get prepared for the interview. I am going to give you a head start right now with a FREE Guide. 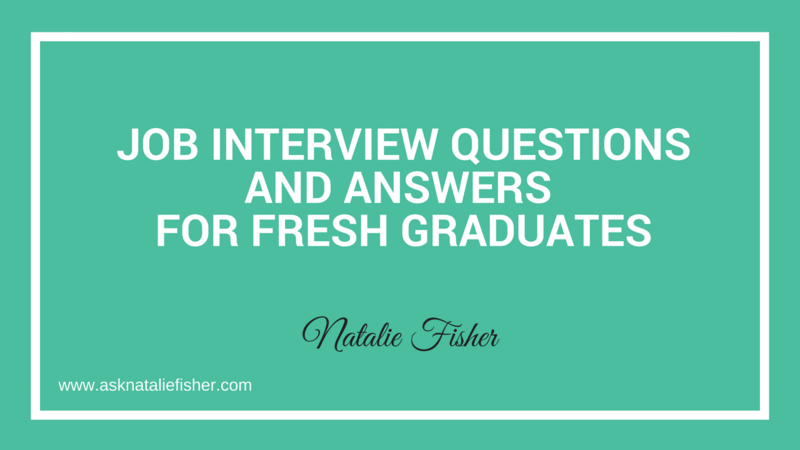 So there you have it: Job interview questions for fresh graduates. Thank you for reading! And remember that answering questions is one thing, but there is a lot more to interviewing than just answering the questions.